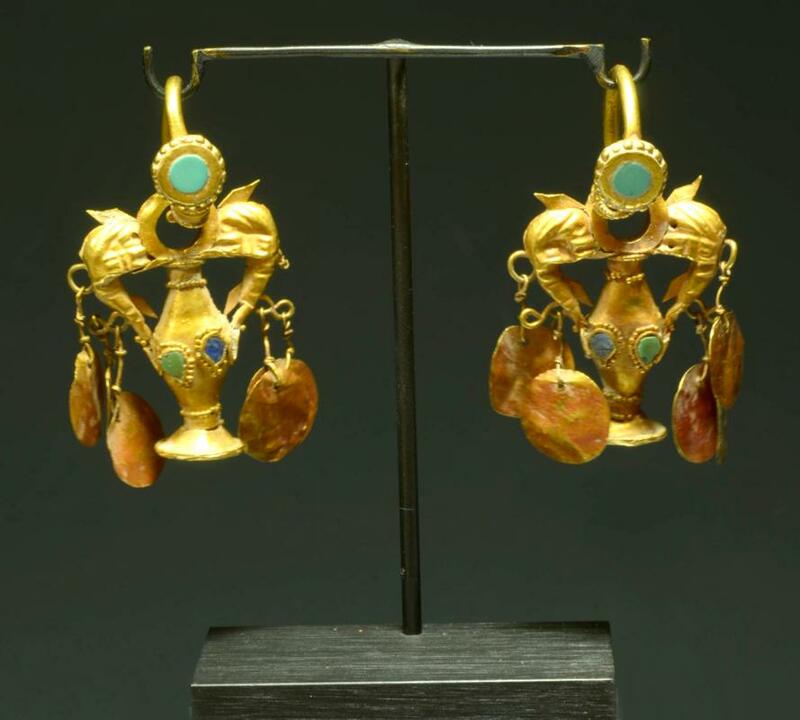 An elaborate pair of gold earrings with a central amphora inlaid with turquoise and lapis lazuli stones. The handles in the shapes of dolphins with a turquoise stone. The hanger atop the amphora also inlaid with turquoise. Also on the vessel body is granulate decoration and multiple danglers. Archaeological patina. weight 17.1grams. Size 1-7/8 inches (4.5cm) L. + custom mount.